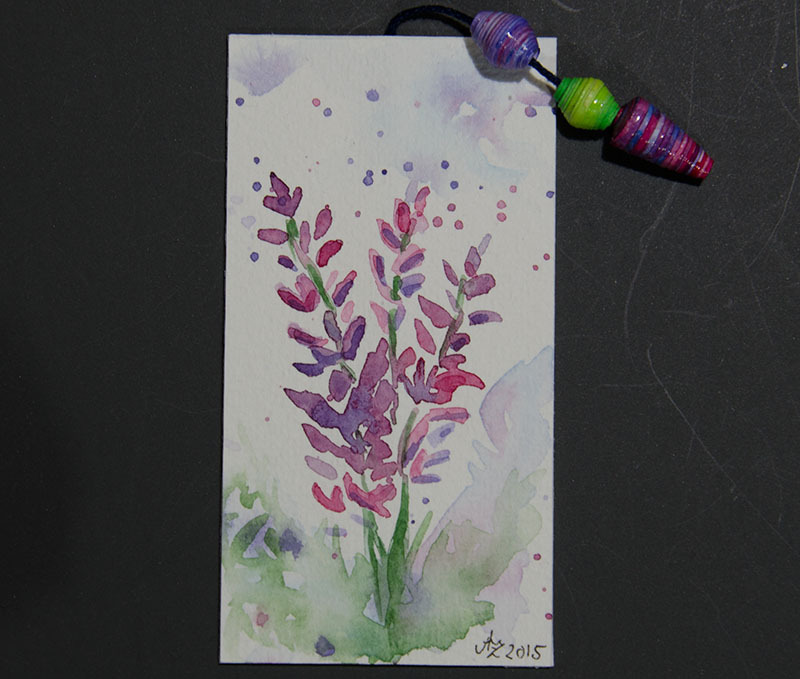 A bookmark with a loose watercolor painting of a lavender flower. This loose style is very difficult for me. I am more a realistic painter.